Mini Golf is fun. Our first priority with My mini Golf is to teach fun along with the putting game. My Mini Golf was developed as a learning tool for young people to teach some of the basic skills in putting, while keeping the practice both kid-friendly and tons of fun. As a result, teachers everywhere are using the system as part of their youth clinics and putting instruction. My Mini Golf is literally, golf anywhere, even in the living room. The My Mini Golf system may be fun for kids, but everyone loves mini golf, and all ages will enjoy it. Whether an outdoor group activity or a bit of fun at home with the kids, my mini golf is always loads of fun anytime or anywhere. From ages five to eighty five, there are so many reasons to play My mini Golf! This fun game of golf brings together the entire family for an entertaining and unique learning activity. 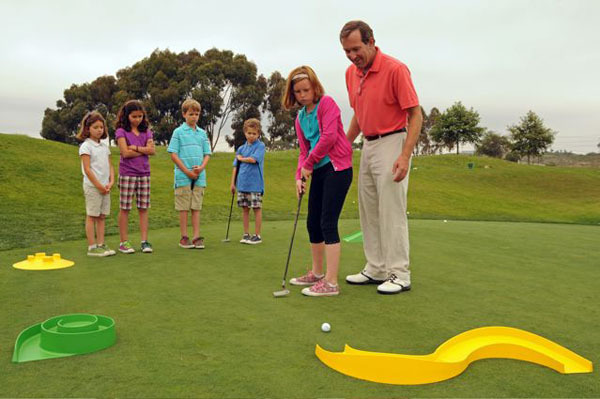 In addition to the fun of the game, children learn hand-eye coordination and concentration, as well as learning the art of putting, a skill they can utilize anytime. Grandparents and their grandchildren enjoy the fun of My mini Golf together. It creates a wonderful bonding between all ages, with both boys and girls. 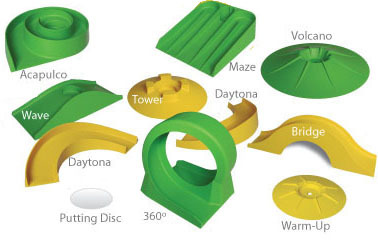 If you have any questions regarding the My Mini Golf Front Nine Set, please give us a call, we would be happy to help you with any questions you may have. 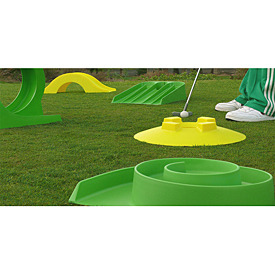 Write an online review on the My Mini Golf Front Nine Set, and share your thoughts with others.